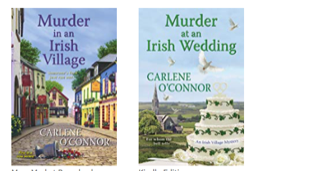 Carlene O'Connor is a USA Today Bestselling author of The Irish Village Mystery Series. 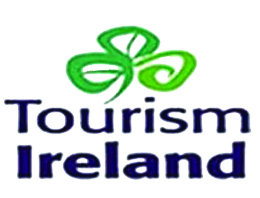 To date she has written Murder in an Irish Village, Murder at an Irish Wedding, and Murder in an Irish Churchyard. 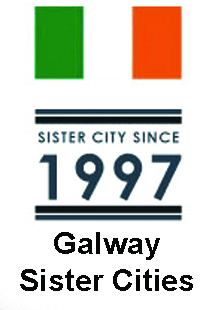 February 2019 will see the release of Murder at an Irish Pub and Murder in Galway which is the first in a new series. Readers can visit her at CarleneOConnor.net or Carlene O'Connor on Facebook. Carlene O'Connor also writes as Mary Carter. For more information go to marycarterbooks.com. 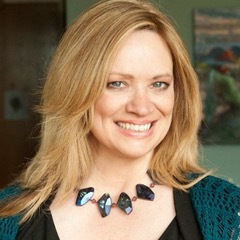 Mary Carter is a critically acclaimed novelist and writing coach. Her latest work Home With My Sisters, was released in 2016 in trade paperback and 2017 in mass paperback. Her other works include: London From My Windows, Meet Me in Barcelona, Three Months in Florence, The Things I Do For You, The Pub Across the Pond, My Sister’s Voice, Sunnyside Blues, Accidentally Engaged, and She’ll Take It. In addition to her novels she has written six novellas published in anthologized collections, two of which have been New York Times best sellers. Readers and aspiring writers can check out Marycarterbooks.com, thewritersloft.com, and carleneoconnor.com. Follow her on Twitter, @marycarterbooks.com or like her on Facebook: Mary Carter Books or Carlene O’Connor.